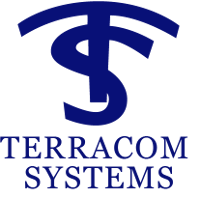 Ter­ra­com Sys­tems is look­ing for telecom­mu­ni­ca­tion tech­ni­cians who demon­strate ini­tia­tive, moti­va­tion and who will be a con­tribut­ing asset to our team. Our com­pany pro­vides cus­tomized com­mu­ni­ca­tion solu­tions to health­care, edu­ca­tion, munic­i­pal­i­ties and com­mer­cial facil­i­ties. We are seek­ing an enthu­si­as­tic, dynamic indi­vid­ual with skills in var­i­ous areas of instal­la­tion, main­te­nance and repair of var­i­ous telecom­mu­ni­ca­tions and low volt­age equip­ment as well as pro­vide great cus­tomer care. Go to our Careers page for more details.